This article is about a professional golf player of India who is regarded as the best golfer from India. This is none other than Jeev Milkha Singh, the son of former indian athlete Milkha Singh. A detailed overview of his profile, and career is given here. Jeev Milkha Singh is an Indian professional golf player who is regarded as the best golfer India have ever produced. 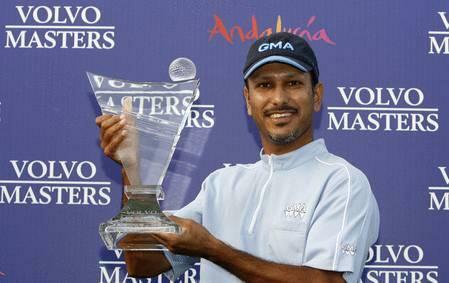 He become the first Indian to play on European Tour in year 1994. He also become the first Indian to be in the Top 50 of the Official World Golf Ranking. Jeev started his professional career in 1993. He won Oklahoma State Open and Bukit Kaira Golf Championship in that year. In 1994, he started playing on European Tour. He ended up as 10th on Order of Merit of European Tour in 2008. Apart from this he has also been the winner of the Order of Merit on Asian Tour two times. First in 2006 and secondly in year 2008. In 2008 PGA Championship, which is one of the four major championships, Jeev finished at Tied 9th position in the tournament. This is the best performance by an Indian in any major championship event. Jeev Milkha Singh is the son of famous Indian athlete Milkha Singh. He born in Chandigarh city on 15 December, 1971. In 2007, Jeev received Padma Shri by the government, which is a reputed civilian awrd of India.